As a father, I was always interested in my kids learning how to figure things out. It seemed that anything I could do to help them learn how to learn would be of greatest utility to them as they blossomed into the teens and then adulthood. It is on this basic assumption that I developed certain routines which I enjoyed as much as they did. One thing I think you can do to help kids find it easier to learn how to read involves sitting with them and drawing rebuses. 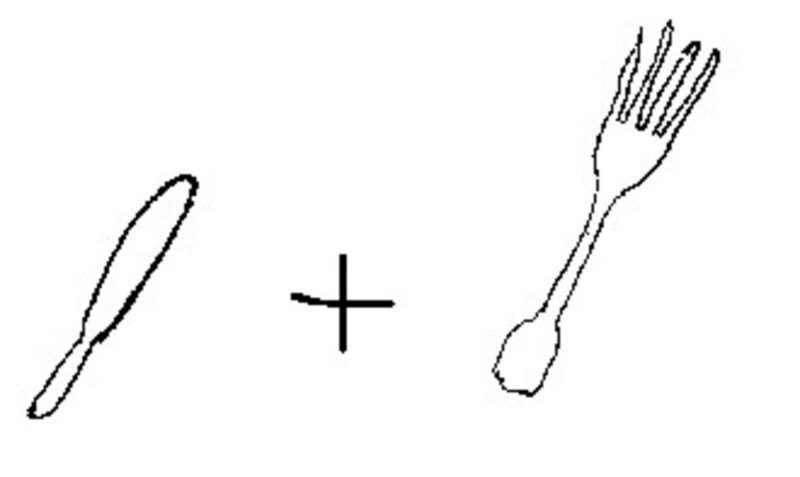 A rebus is a way to use pictures to represent words or parts of words. The sounds uttered by the child in putting together these pictures, letters, and numbers should elicit from the child a common saying or a simple statement. The following techniques may be of use to new parents or prospective parents. 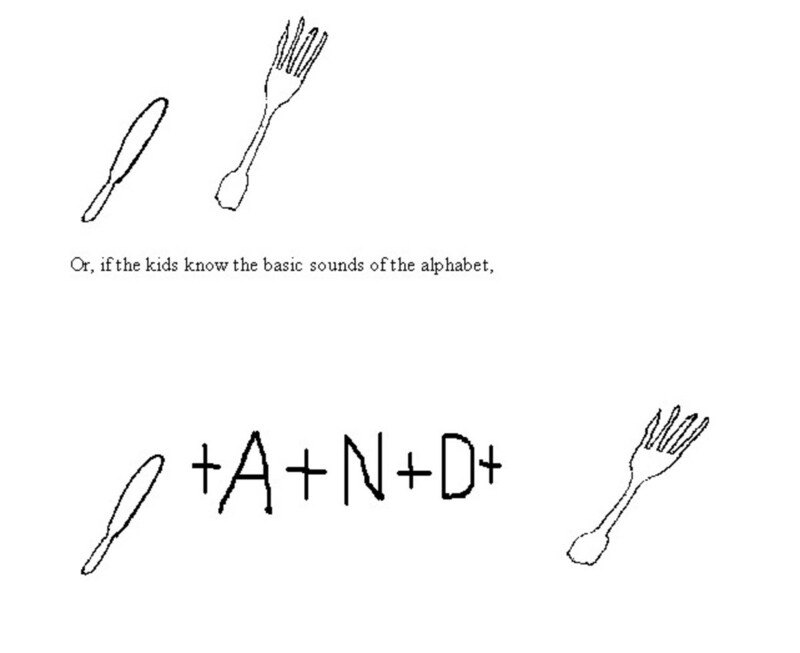 It's easy to explain that the + sign in this case means put the next picture sound with the previous. Or, you can leave + out. This whole thing does not have to be perfect. Your child will know what the "eye" is; that is one of the things a child focuses on first and like many of us, you will find that they can point to eye, ear, nose, hair, chin, mouth, etc really early on - before even a year old. If he or she doesn't get what the "can" is, go get a can out of the cupboard and ask, "What's this?" Yes, it helps to start this when they are learning their letters and numbers. If they go to a preschool they learn that pretty early on. You can always hold up two fingers and ask, "How many is this?" And, of course, show how pleased you are when they get it. A lot of this you will have already taught them - they soak stuff up like a sponge. I think I started doing this when my kids were about 3 years old. You want this to be fun. Remember to encourage when they try to answer a question. Have an even better way of expressing approval if the answer is "right". You also need to have a grasp of when your child is ready for this type of thing. Mine began at about 3 years, but that does not matter. You can use this concept all the way through about 3rd grade or perhaps beyond. Don't forget that you are encouraging them to read from left to right. In addition, you will be developing your own tricks, games, and routines. The next thing I would like to share is something I adopted from Dr. Linus Pauling. Pauling was an absolutely brilliant American chemist, biochemist, peace activist, author, and educator. He passed in 1994. One of his greatest achievements was discovering the basic shape of the DNA molecule. He wrote "Vitamin C and the Common Cold" and numerous scientific articles and books. He is one of only two people to receive two Nobel Prizes. I was fortunate one day to catch an interview with Dr. Pauling on PBS. During the interview, Pauling was asked a question about rearing children. His response got me thinking. 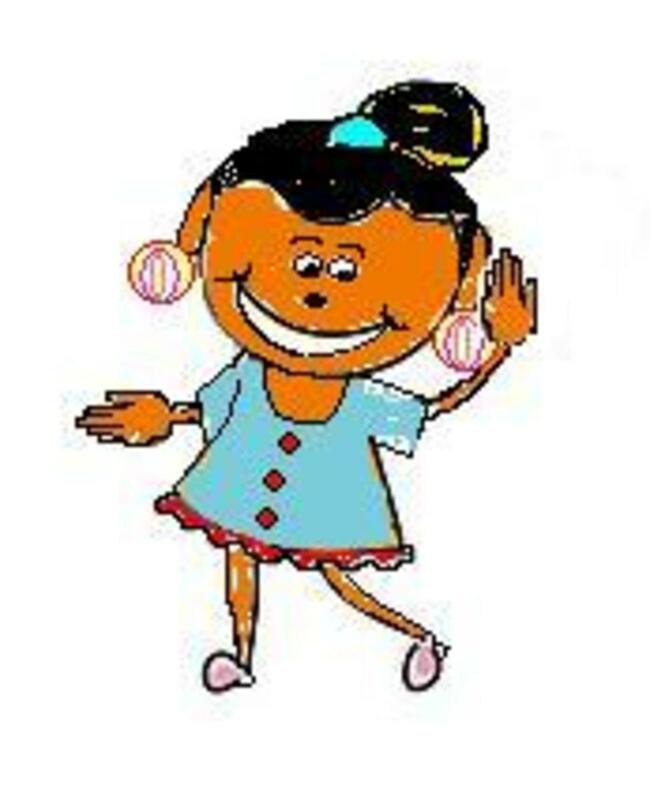 Pauling said that in order to help children to develop inquisitiveness and to help with concentration, one needed to make learning interesting. He said that he used to ask his children to describe things they could not see. His specific example was for his kids to imagine that they were a tiny little bug crawling deep down in the thick living room carpet. What would you see? When the children responded he would ask another question about what they had answered, and so on. In this way he had the children conversing, speculating, and broadening their powers of imagination. I used to use a variation of this. When my kids had slowed down a bit playing in the backyard, I would ask them, "If you were a tiny bug crawling in the dirt under the pea gravel, what would you see?" Some of the stuff they came up with was great. Perhaps it would be like a cave, perhaps like boulders piled on top of each other with cracks, or perhaps it would be dusty and dark. Another example you can use if the kids are pretty small and have never seen the back of the refrigerator is to ask, "What do you think the back of the refrigerator looks like?" Without knowing it, the foundation for laying a hypothesis is being formed. As a last example related to reading, I would like to cite another activity my kids and I had. 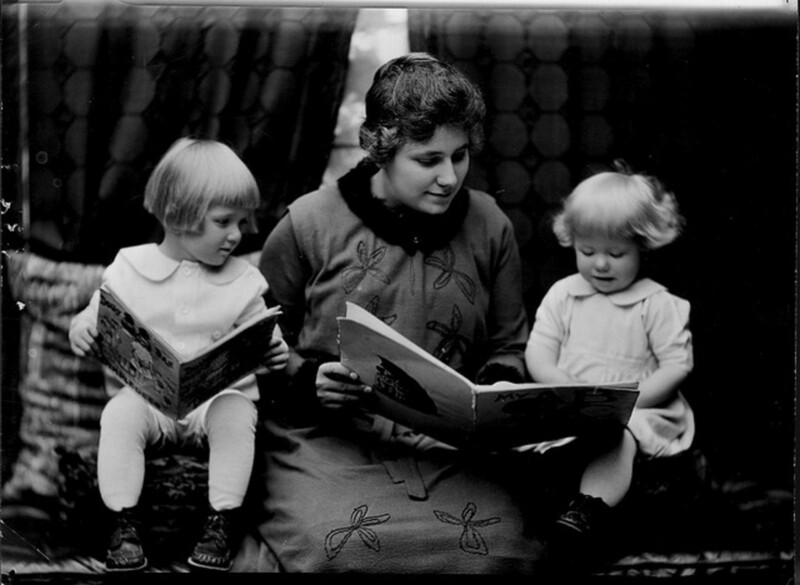 Young children love to have the same books read to them over and over. I used to let them choose what they wanted read, but they would frequently go back to some of their great favorites. In fact, (I know if you are a parent you have seen this), sometimes they will have memorized the order in which sentences in the reading occur. You see it at first when they silently speak the words as you read. Then, they start to say the sentence along with you as you read. So they have really sharp, supple minds. This is a pattern of behavior you can take advantage of. 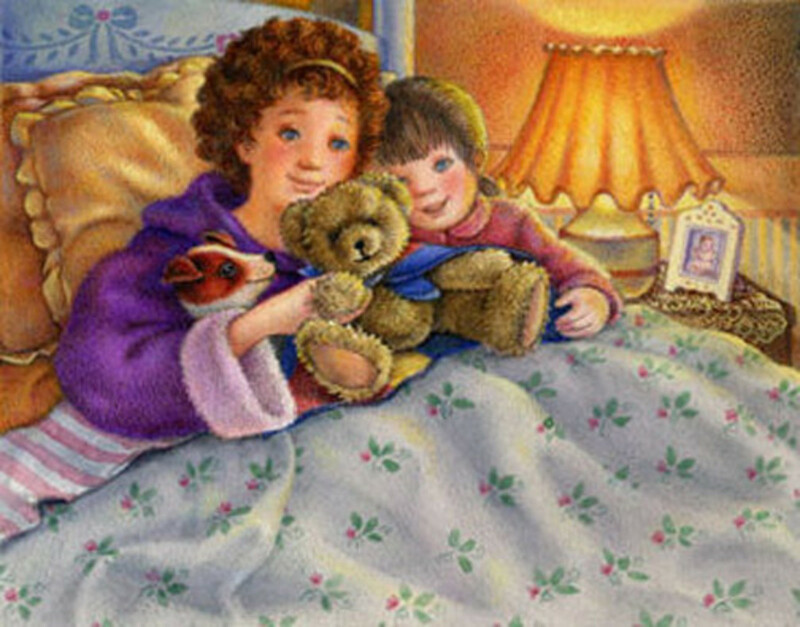 I loved to read Golden Books (I am not a representative of the company; any books will do). The pictures are exceptionally good. You can start to work on words from pictures, but you can also help them to learn a sight vocabulary (based on the group of letters and nothing else) by using this pattern of repetition. Here is an example I will make up from a book called "Return to Oz." This was one of my kids favorites, but I don't have it anymore. "Dorothy walked down the yellow brick road when a ghostly figure passed by." Remember that the kid has memorized this sentence (exactly!). 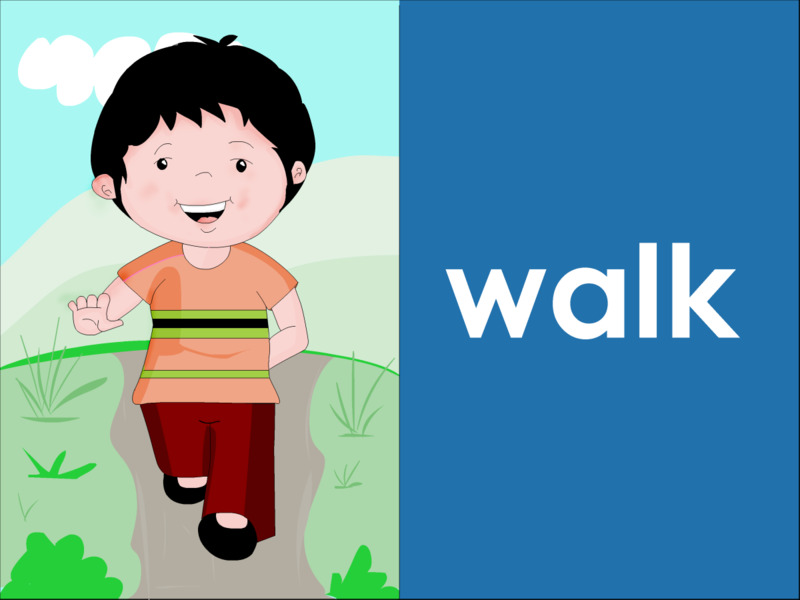 Put your finger just under the word walked and tell the child, "This is the word "walked". Then ask, "What is the next word?" and put your finger just beneath it. Ten to one he/she will tell you, "Down". They might know nothing about phonics, but they are capturing that 4 letters in that order in their minds. Repeated enough times and you can casually ask what is that word and they will know it. Don't make this some kind of final exam. It's supposed to be fun. They will be listening to every word you say, especially at bedtime. So you can pop these questions out quickly once you discover the first book your kids have memorized. I bet I could read some of these kids' books to you 15 times and you couldn't repeat word for word any of the sentences, but a kid can. One reason I am so fond of this exercise is that kids can learn a sight vocabulary of words that can't be represented by a picture. In other words, you cannot point to these words and say, "That's a .........! It is good for learning prepositions (to,for, under, over,etc) and articles (the, a, and, etc). It isn't to teach them grammar, it's to have fun and help them identify the words. You can tell them they are learning to read. You will undoubtedly discover subtle patterns to your children's behavior, and that is something that you might use for constructive purpose. If it is a bore when they are small, you are probably destroying their desire to learn without knowing it. It must be fun first - there will be plenty of time for drill and practice when they start school. But if you do it right, your kids will have a big jump on the process of educating themselves (because they remember what you did) and you can have the satisfaction of knowing that you helped your kids open their minds up to possibilities and provided the fertile ground for a confident future in school. And after all, that's what we sign up for when we decide to be a parent. What is Your Level of Activity with the Children? What is your routine of reading with the kids? I read at least 2 times a day with my children. I read at least 1 time a day to my children. I read at least twice a week to my children. I don't read to my children. I read at least three times a week to my children. Very interesting. My son will be starting Kindergarten in the fall, so this is very helpful. I'd never heard of the rubus idea before, I think my son would like it!